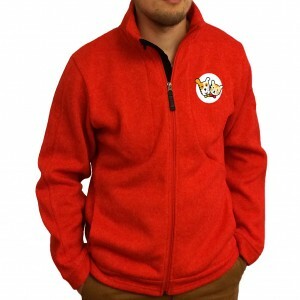 Husse Red Fleece Sweater – 25 Years Aniversary. Soft and warm fleece with pockets. Husse 25 Years Logo.